Administering a manure feedback program with gestating sows can be a messy job, and it’s difficult to give the same dose to sow at the end of the row as the sow at the beginning of the row with a bucket. Now there is a cart that simplifies this sow farm task. 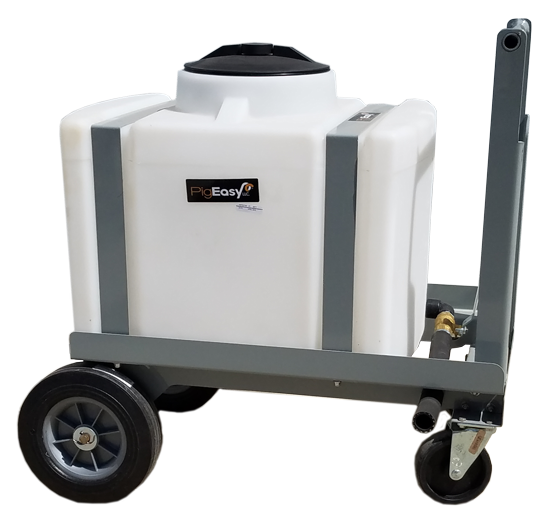 The PigEasy Feedback Cart is a pushcart with a 25 gallon high density plastic tank that has a valve and opening strategically positioned to administer manure feedback to sows in gestation stalls. The Feedback Cart provides a uniform dose to each sow by simply turning on the valve and walking the cart down the aisle. 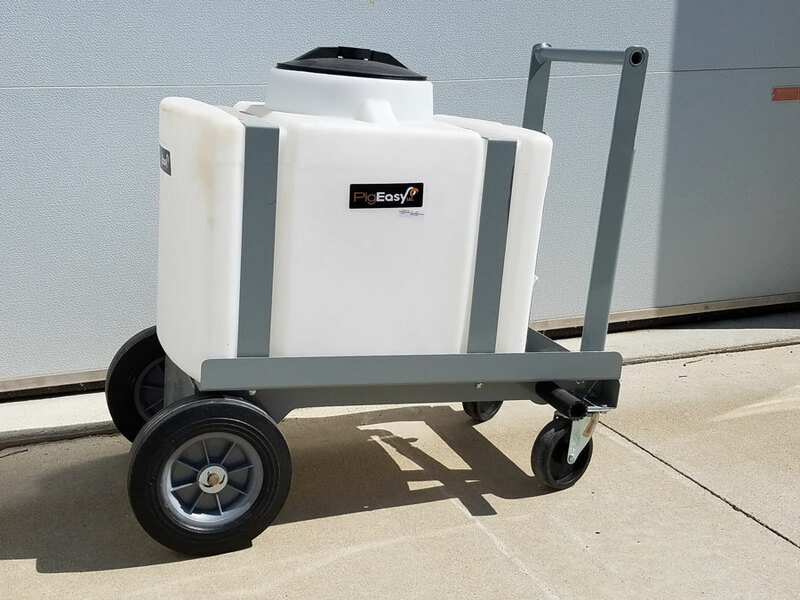 With its large handle and high quality wheels, the PigEasy Feedback Cart moves and turns easily and can quickly maneuver throughout the gestation barn in sow farms of any size. Reduce the number of trips back to refill with its highly durable 25 gallon capacity tank. The tank’s position on the cart ensures that the manure feedback doesn’t settle on the bottom and is consistently distributed the same to sows at the end of the row as the beginning of the row. The PigEasy Feedback Cart can be used by anyone because there’s no heavy lifting involved. Amp up and streamline your sow farm’s manure feedback program with the PigEasy Feedback Cart. Some words from our customers will be coming soon. Have your own experience with the Feedback Cart that you’d like to share? Submit a product review by using our contact form.